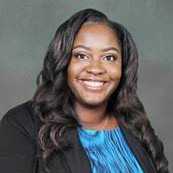 A Ph.D. candidate in political science in the College of Liberal Arts and Social Sciences, Naomi Nashell Nubin-Sellers was chosen as a Spring APSA Minority Fellowship Program Fellow to support expenses related to graduate studies. The program is a fellowship competition for individuals from underrepresented backgrounds with the intent of increasing minority scholars in the discipline of political science. Naomi’s research focuses on American politics and public policy, with an emphasis on incorporating intersectionality into our current understanding of the political process, minority representation, and minority behavior. She is currently researching whether legislative infrastructure affects how often African American female candidates run for office in state legislatures.